Kathryn has been a movement educator for 35 years and a yoga teacher for 25. After receiving her graduate degree in Dance Therapy and Education, she spent her early post grad years working as a choreographer, producer and director in alternative and mainstream Theatre in Toronto and Winnipeg. In 1993, during the 10 years she worked as a doula, she created Toronto’s first Pre-Postnatal Yoga Program. 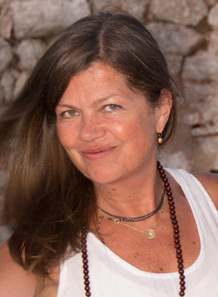 She founded Yogaspace in 1996 and led the studio’s first 200 Hour Yoga Teacher Training Program in 2000. In 2008 she created the Centre’s Therapeutic Yoga Program which orients to cancer patients and survivors, individuals suffering from insomnia, anxiety, depression or recovering from surgery, pregnant woman and those simply looking for a restorative and healing experience. She has trained close to a hundred Therapeutic Yoga practitioners, many of whom are practicing at Yogaspace, privately, and at Yoga Studio’s and Wellness Centre’s throughout Canada and in Mexico. In 2011 Kathryn created the Yogaspace Wellness Centre and in 2015 she created the studio’s supplementary Personal Training and Functional Movement Program. Having worked in clinical settings for 10 years and with private clients for 20, Kathryn is perhaps best known these days for her work with aspiring yoga teachers and for her fun, functional and interactive, contemporary Vinyasa classes which are choreographed to carefully curated soundtracks. She leads yoga retreats in Europe annually with her teaching partner Hali Schwartz and is very excited about their upcoming retreats in Puglia, Italy in June 2018 and Goa, India in January, 2019.